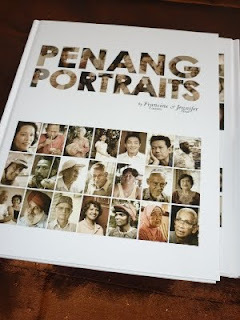 Last week, I went to help the book launch of "Penang Portraits" written by my friend Fran. Mr Lee, Arata's swimming instructor, Junko, Aratakara's teacher at the kindergarten are also appearing in the book. The old lady who is selling eggs at the Plau Tiks market is also included. Personally it is really interesting to read. Fran, the writer, and Jenn, the photographer, interviewed people in Penang about their life. 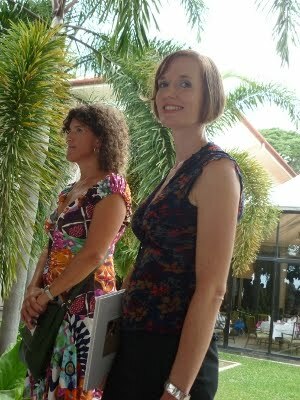 Fran told me, Jenn and Fran often rode on Jenn's bike together to meet the people in town. They are also mothers. Their determination give us strength and hope! When older generation talk about their personal history, they can't avoid telling about the period of Japanese occupation during the war. In Penang, we don't feel strong anti-Japanese feeling, and often we forget about it. But the history has definitely affected on them. The album of launch on Facebook.